These are great all-around gloves. They are made from regulite fabric that is very soft to touch and has excellent thermo-regulating properties. 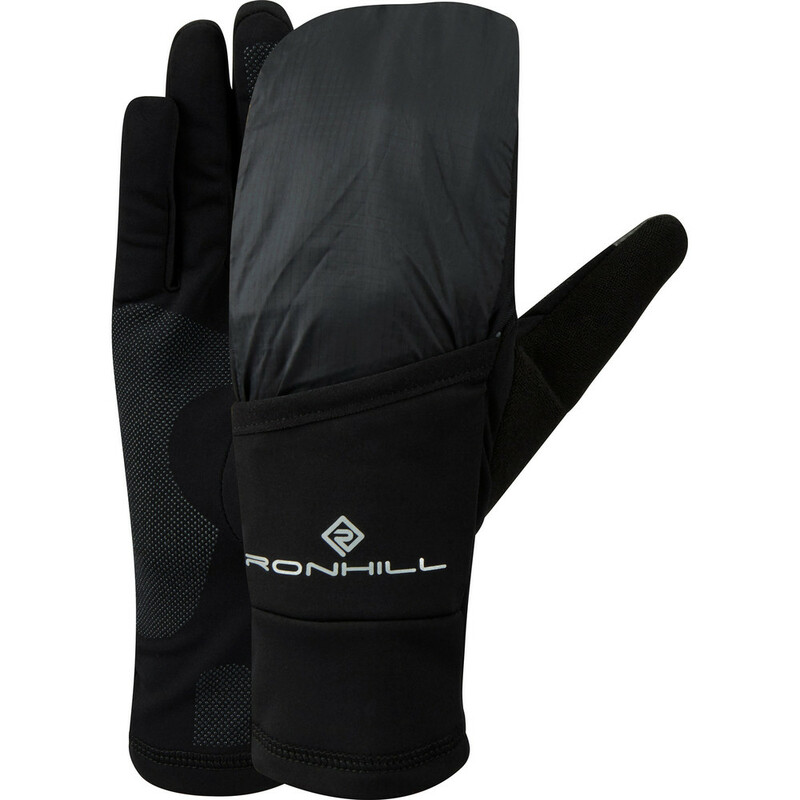 They have an additional fold away wind shell mitt which covers the gloves for water and wind-resistance to keep your hands warm and protected. Smartphone compatible tips of thumb and index finger allow you to use your phone while keeping them on. The inside of the palm has silicone grips and the thumb is made from a towel-like fabric that allows you to wipe your sweat off while running.